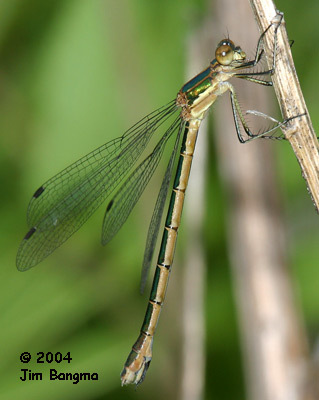 Known only from the northwest, this is one of our least common spreadwings, as shown by its state ranking. 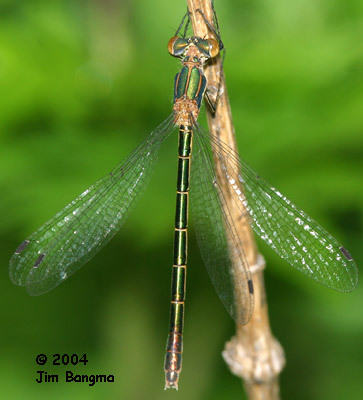 A small spreadwing, easily recognized by its brilliant metallic green coloration. 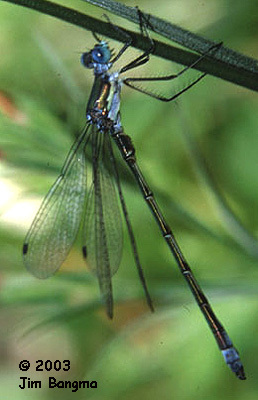 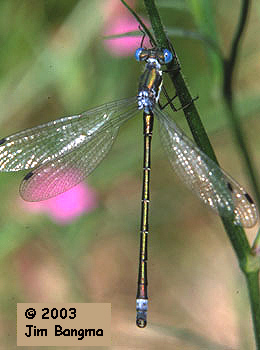 Elegant Spreadwing may show similar color but is much longer and the paraprocts extend beyond the cerci.